The Pnuma Trio's innovative brad of atmospheric soul-trance is a captivating sound that meshes dance music elements with traditional jazz and funk sensibilities. 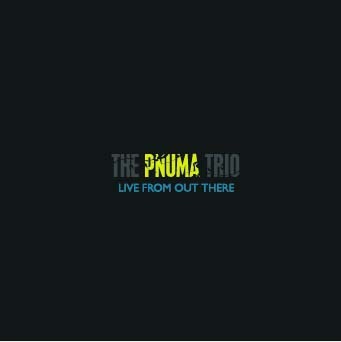 Riding on the cusp of futuristic innovation while remaining in tune with their past influences, The Pnuma Trio allows their musicianship to speak for itself, offering beat-driven, precise compositions that still allow space for free thought and movement. It's instrumental, improvisational dance music for a new era in the live electronic realm, appealing to jam fans, hip-hop heads, and electronic dance party fanatics alike. Recorded live throughout their Winter 2005 tour, Live From Out There is a bold debut from this fearless trio! The Pnuma Trio consists of Alex Botwin on bass guitar, Ben Hazlegrove on keyboards, and Lane Shaw on drums. Botwin's ability to play a wide variety of instruments allows him to channel that knowledge into his versatile bass playing. Through his skillful utilization of an array of today.s technological tools and a knack for sound, Alex cultivates a new and refreshing touch on the bass, providing the steady pulsations that drive the Pnuma sound. Hazlegrove received classical training at the Berklee School of Music. His jazz mentality and emotional style is the lifeblood of the Pnuma sound. Shaw, a product of a musical family, provides the backbone to the group. Lane's funk, trip-hop, jazz and drum n. bass influences color the band's groove and keeps the music fresh and moving forward.